Ordering Christmas cards is one of my top five holiday traditions. It’s right up there with Christmas lights, wrapping paper and the decorating the Christmas tree. As a designer I just drool over picking out paper goods and truly love mailing out a big stack of holiday cards to our most loved friends and family. 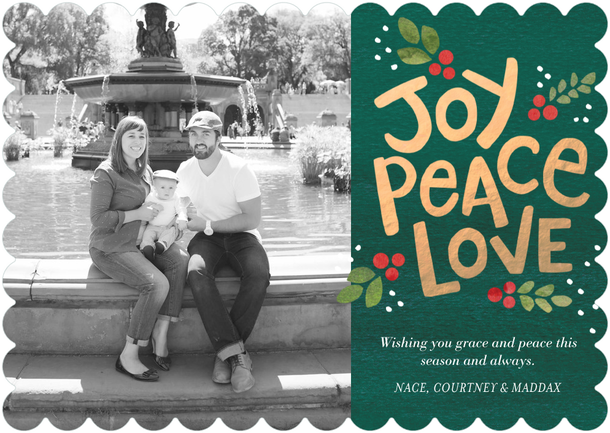 With the hustle and bustle of the season I know its hard to remember them, or squeeze in the time to take a family photo or mail out cards to all your friends and family, but its not too late! 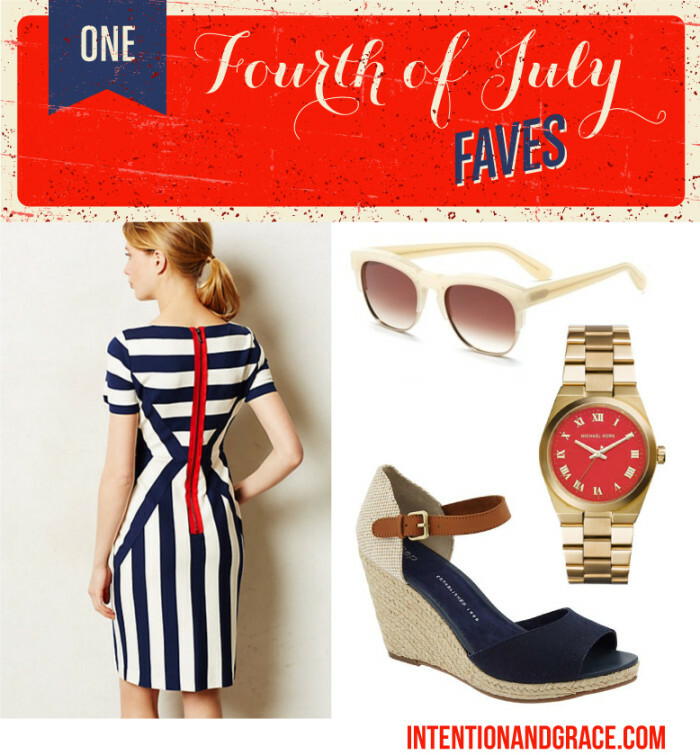 You still have time, I promise! 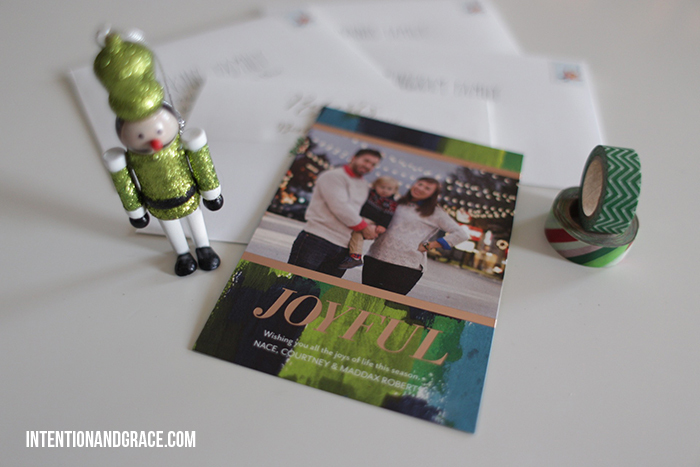 Today I’d like to share my top five tips to know when ordering your holiday cards. 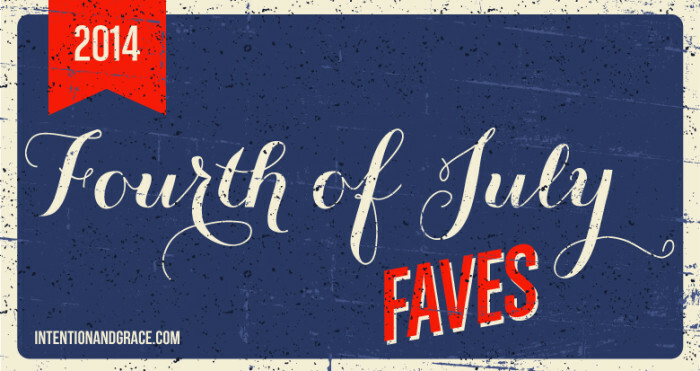 There are so many great places out there to choose from that you don’t even need to leave your house to get a well designed card. 1. USE THE DESIGNER REVIEW FEATURE. This is a new one to me, but I will most likely use it from here on out. Not all providers offer it, but many do. You should see it after you design your template, just before purchase. 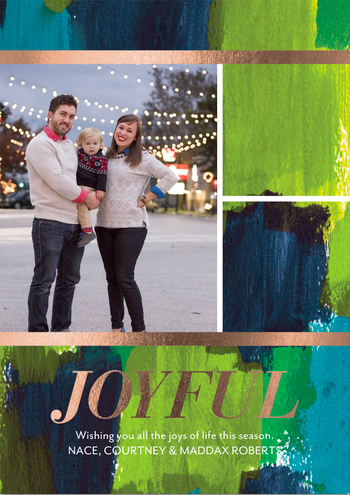 I ordered my cards from Tiny Prints this year and after searching for quite awhile I finally fell in love with the most amazing design, but it was templated to hold three photos, and we struggled to get ONE good one this year. After contacting their amazing customer service department they told me that designer review would allow me to modify and customize my chosen design exactly as I wanted. You can see there are two blank spaces on the right side where I did not place photos, but a designer specifically assigned to me was able to make my picture fit that whole space and create my dream card for only .99 cents. I love how they turned out! 2. PERSONALIZE THE TEXT. 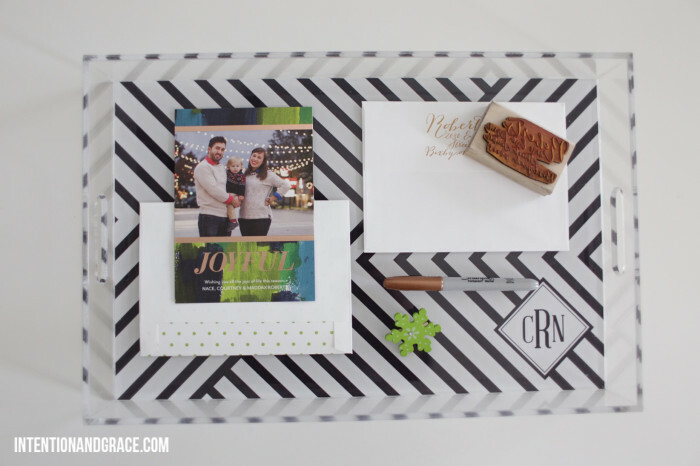 Most holiday templates online come with a simple line of copy and a line for your family name. But you don’t have to stick with that! I feel it is important to change it up a bit to give it some personality and warmth. 3. WAIT FOR A SALE. You may think you missed all the good sales during Black Friday or Cyber Monday, but that is just not true. 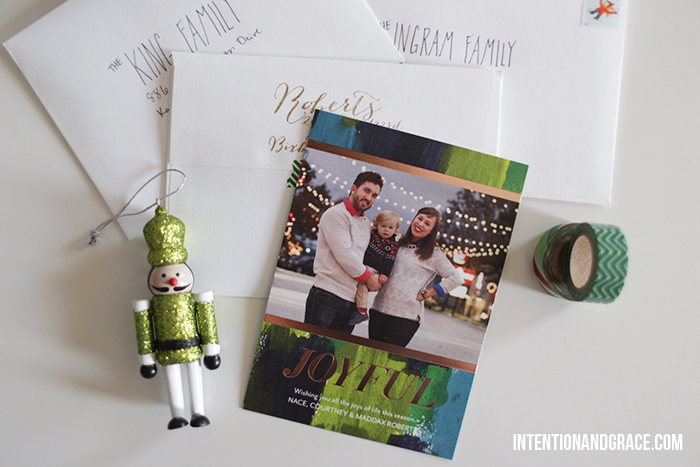 Many great holiday card providers have amazing sales all season long. And several offer discounts just for joining their mailing list. 4. MAKE SURE YOUR NAME IS GRAMMATICALLY CORRECT. Thank goodness I always sign our cards “The Roberts Family” because this year I was surprised to learn the correct way to sign our family name would be “The Robertses.” Never in a million years would I have gotten that right. If you have questions about how to write your family name see here. 5. ADD SOME PERSONALITY IN THE POSTAGE. This one is fairly easy to do. All post offices and many other locations offer holiday stamps for the same cost as regular stamps. To see what stamps are offered this year please see USPS.com. 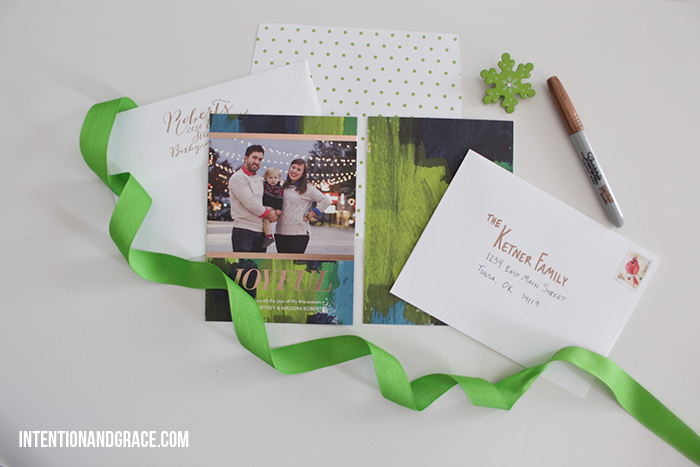 Places like Shutterfly also offer custom printed stamps that could be tied in with your holiday card theme or add as a space to add another family photo. Many online printers like here and here also offer custom address labels, embossers, ink stamps, etc that you could use to spice up your mailing addresses, return addresses or overall design. I purchased my custom stamp on Etsy last year and use it all the time. There are several options to choose from and if you’re handy with a computer you could even design your own. I hope these tips take out a bit of the stress for you this season. 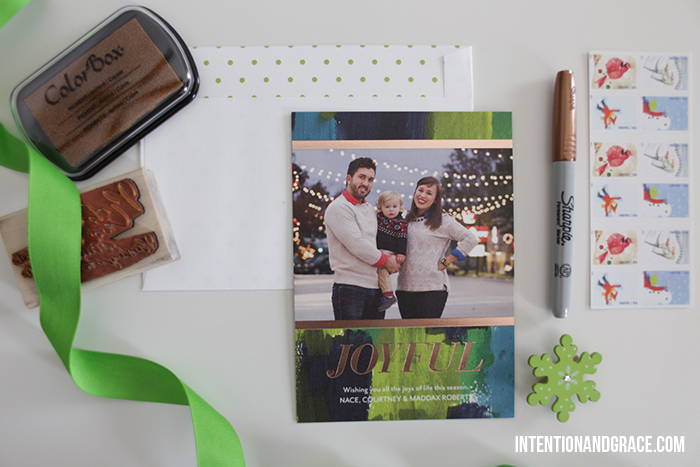 Ordering cards does not need to be a big ordeal, it should be something fun and festive to send to those you love. If you don’t have time or don’t care about them don’t worry about it, its not worth stressing over. 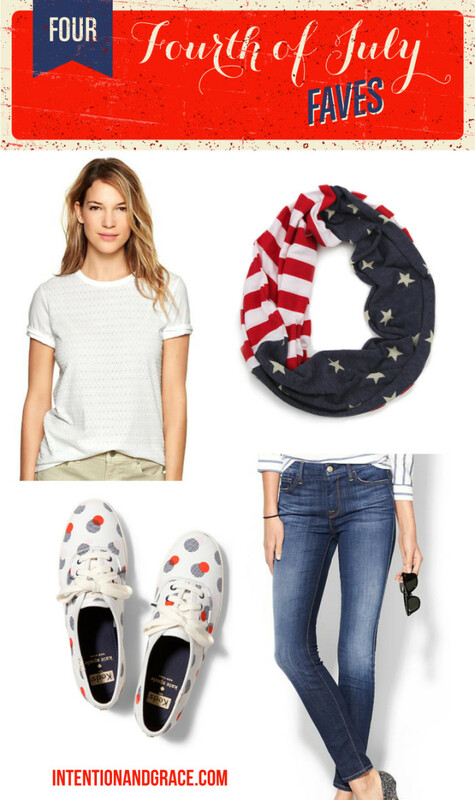 Today’s feature is basics. 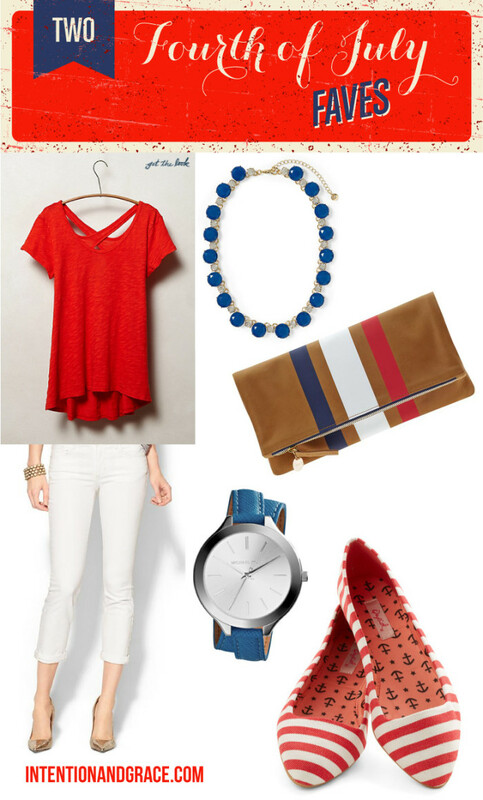 Most everyone has a pair of denim pants and a white shirt or tee. 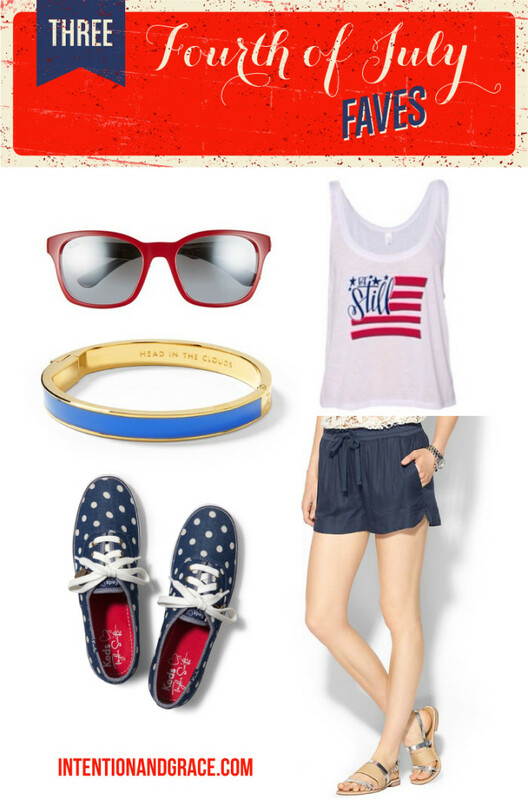 Pairing that with some great shoes like the Keds by Kate Spade shown below or a super fun american flag scarf can take something as basic as a t-shirt and jeans to a whole new level without taking a large chunk out of your budget.